I know this is a recurring question, but I need to figure this out. I own a Thunderverb 50 head driving a PPC212 cab. I like it a lot. Having said that I have noticed that I sometimes get lost in the mix. Tried different settings on gain, tone etc. Your description makes sense. It’s designed to have more low end. 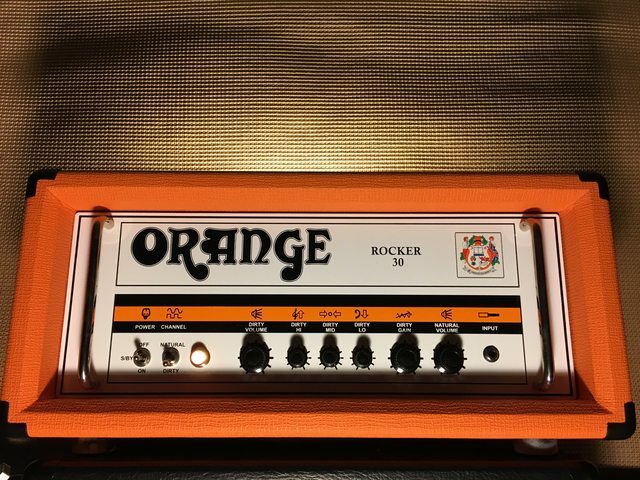 I think its a great amp, but the Rockerverb is maybe more versatile. The RV50 under heavy gain compresses quite lot on the dirty channel, which can make impact dynamics hit and miss. The RV50 is more modern sounding, and still has a lot of low end. It's thick, warm and that's the main place it takes in band setting. If you're after a sizzling Marshall type cut, the RV50 probably isn t the amp for you. You could try to source a now discontinued R30, which cuts effortlessly and is firmly vintage voiced, or the new R32, with its twin 10" speaker, should be great too. 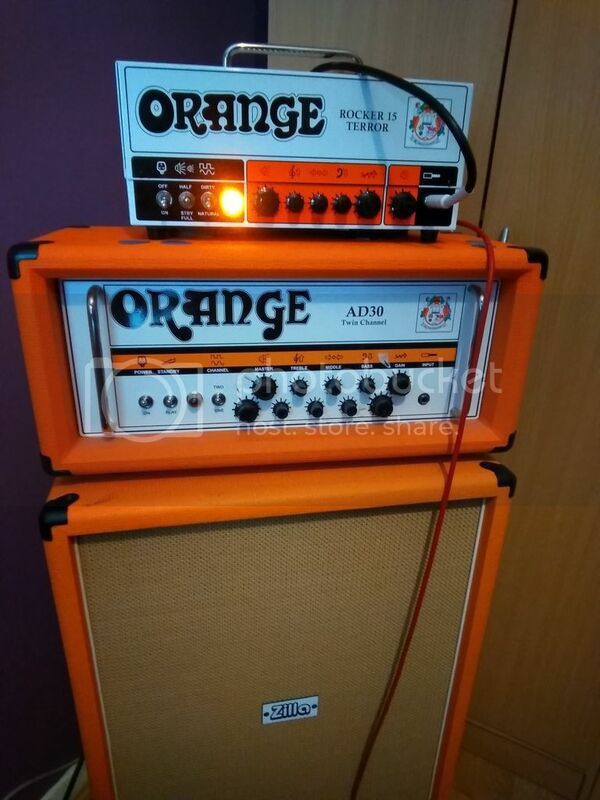 I owned an Rv50 mk II for 6 months one of my main criticisms was that it didn't cut through a band mix like the other Orange amps I had used, due to the very compressed nature of the dirty channel. It also hated overdrive pedals... Such as when used on the clean channel... The mkiii may be totally different! I say that Thunderverb excells in every genre that has *metal* in its name. Lots of low growling low end, quite edgy distortion, maybe even fizz. Rockerverb is great for everything else - blues, soft-to-hard-rock and more hi-gainy stuff. It's also a bit modern voiced, but yet with kind of vintage twist. Sits nice in a band mix. YMMV. I only played the RV once, and decided to get the TV instead without playing one. It's definitely a darker amp. Looser, from what I remember of the RV. I've had similar issues with it being muffled, as you put it, but I found a couple of things that help. A Distortion+ in front of it makes it meaner and a bit tighter. An EQ in the effects loop can work wonders too. I do wish the TV series had a presence control. Thanks everyone for your insights. I appreciate it ! I think I will roll the dice and order the Rockerverb MKIII. That's what they are selling so its not like I can order a MKII. I kind of like that it has the 25w mode that might make it more friendly practising at home with the attenuator. I find that the attenuator on the TVerb is only really practical when playing at significant volume. Playing at really low volumes just squashes everything sound-wise, which I guess is to be expected with a tube amp. It's funny how tastes can differ.... I tried both the TV50 and RV50/100 side by side, the RV50 was the amp I bought without 2nd thought. I find it amusing how different people can have similar experiences and come to very different conclusions. Anyway, it doesn't really matter as long as we're all happy in the end. I bought the RV50 and love it !! Definitely a different sound over the TV50 and I am glad I bought it. Thanks to all of you for your insights. This is a very amazing community !! Nice! Congrats. What did you end up getting? Mk I, II, or III? Very very cool amp for sure! Got a brand spanking new MK III. Absolutely stunning clean channel and a very nice on board reverb. Not sure yet about the stepped controls but i am sure i will adapt to them. yeah, I am with you on that. Its a bit double edged because for repeatable settings, it is super super easy and nice but I have been "bit" by it a few times where 1 click up is too much but current setting isn't enough. That is where the guitar knobs come into play. If its the gain knob, I just roll off the volume on my guitar a pinch, same with tone, set it a pinch too bright and roll back the tone on the guitar. Throw a treble booster in front of your TV50 to cut through the mix, it may give your new MK III a run for its money. I really like the RV50 clean and I think the reverb is much more useable than that on the TV. I kind of also like the 25 w power scaling. I did in fact throw an EQ in the chain and just a subtle treble boost really makes it cut through the mix. Good deal, enjoy the RV50!